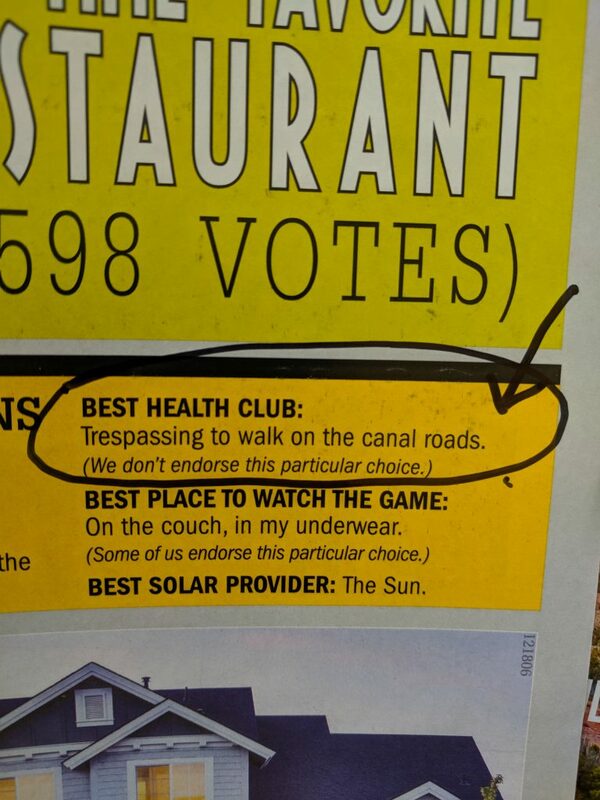 Area residents voted trespassing on the Grand Valley’s irrigation canal roads as the “Best Health Club” in the Daily Sentinel’s “Best of the West” contest in a “favorite write-in votes” section. Almost 4,000 people voted in the “Best of the West” contest. Grand Valley residents face a conundrum when it comes to the canal banks. While it is considered trespassing to use the canal banks, no one has been cited for walking on a canal banks in over three decades. 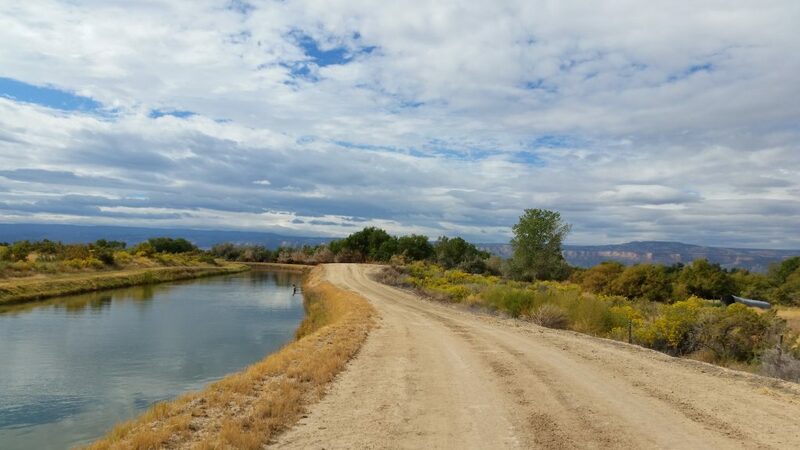 When asked about this conflict regarding the canal roads a few years ago, former three-term Mesa County Sheriff Stan Hilkey said that during his 28 years at the Sheriff’s Department he knew of no one who had ever been prosecuted for walking on the canal roads. He added that violations of the “No Trespassing” rule on the canal banks are the “lowest possible priority misdemeanors” for area law enforcement authorities, which means if a landowner calls 911 to report someone trespassing on the canal banks, chances are a car will not respond any time soon. This leaves the burden of documenting and reporting the trespass entirely on the landowner. The landowner would have to identify the trespasser(s), get their contact information, document the time, date and duration of the trespass with solid evidence and go down to the Sheriff’s Department and file a report about it. It’s a pretty high burden, so it just never happens. Read more about the politics and problems (real and imagined) surrounding the irrigation canal banks at a previous blog here.